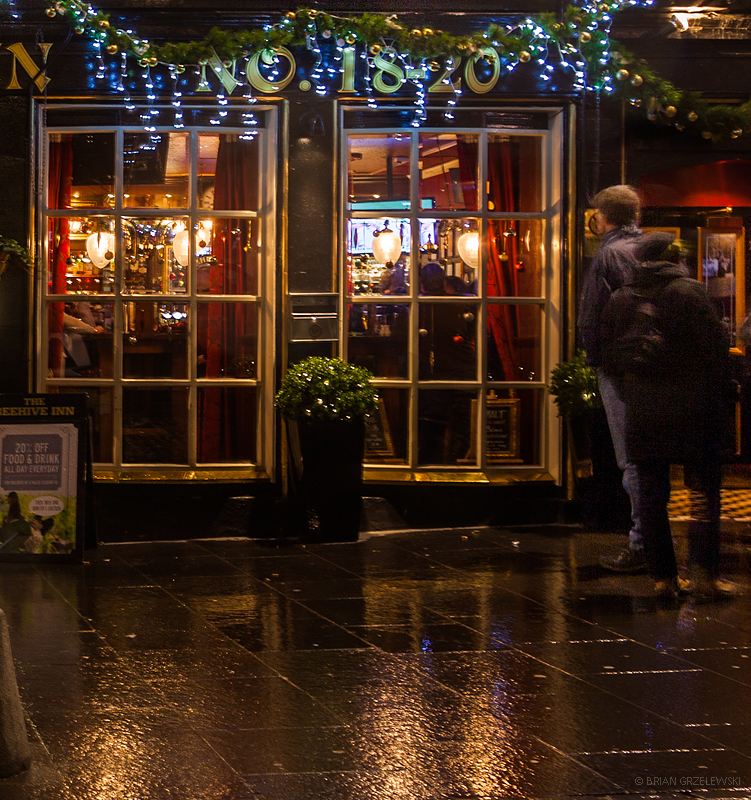 At the foot of the hill where Edinbugh Castle sits, is a fun little area called The Grassmarket. It’s home to lots of buildings from the 18th century and earlier. 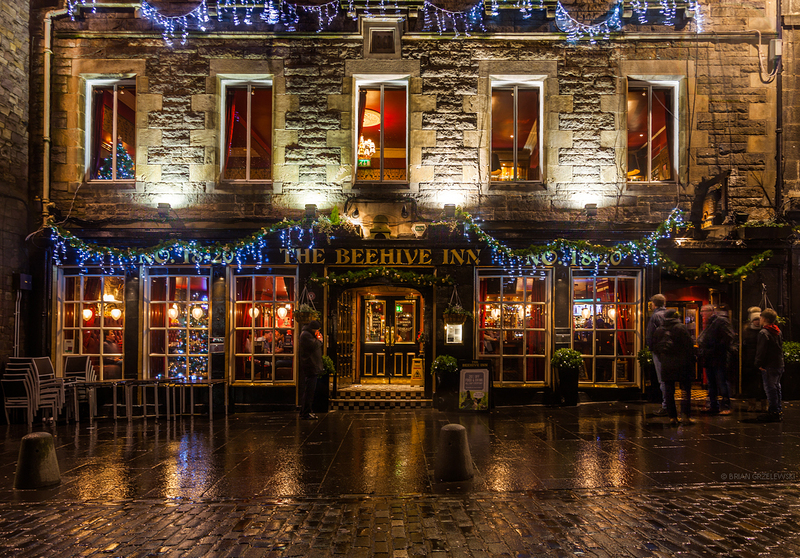 The Beehive Inn is a pub in the Grassmarket area serving standard Scottish pub food. I had fun walking around at night after the rain with the light spilling out of the windows and reflecting off the cobblestones. 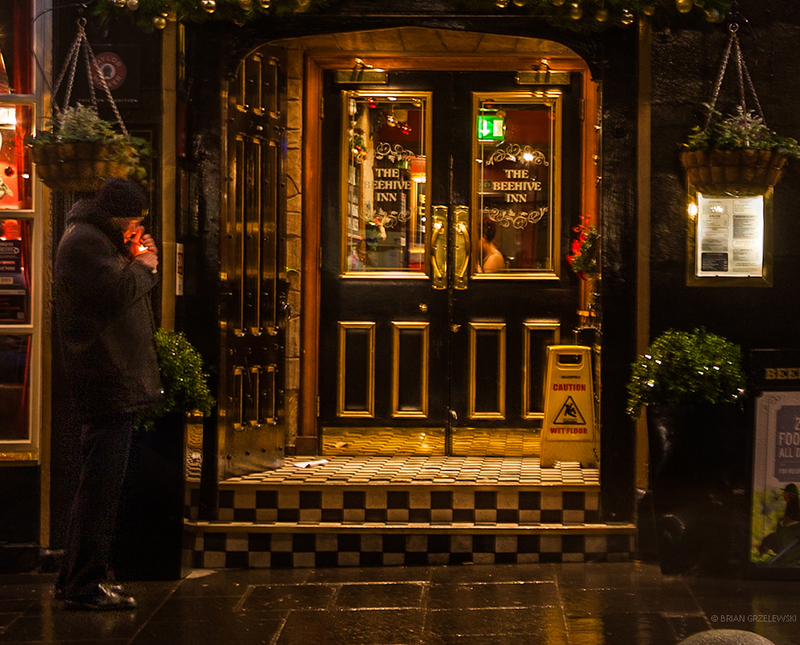 The guy lighting a cigarette by the front door. The people sitting inside chatting away the night. 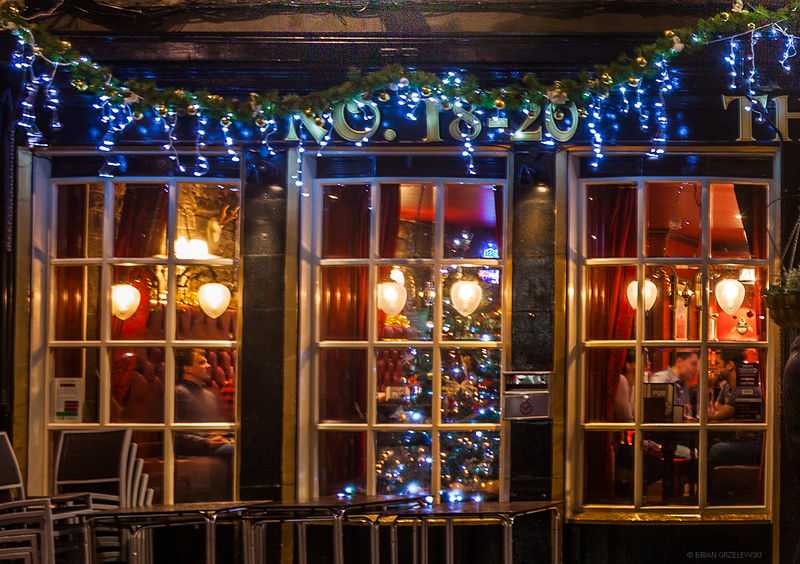 And the guy gazing into the window perhaps wishing he could get out of the cold and have a warm meal.